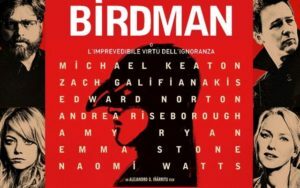 As a viewer the first thing we notice about Birdman that it is a new film from acclaimed director Alejandro Gonzalez Inarritu and a forgotten film star Michael Keaton. The trailer was different as well as it shows an elevated meditating position by the Michael. Most of us got the idea that there will be something interesting about this movie.